The Christmas period is well behind us now but is has been fabulous to spend some quality family time together. This last month we have been trying out a couple of new board games as part of the Asmodee UK Blogger Board Game Club. 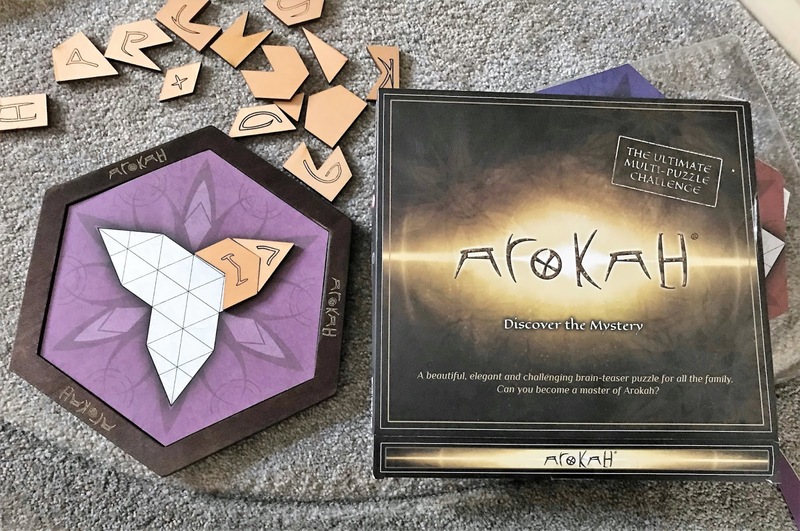 Our first game was called Arokah and it was not one that I had heard of before. 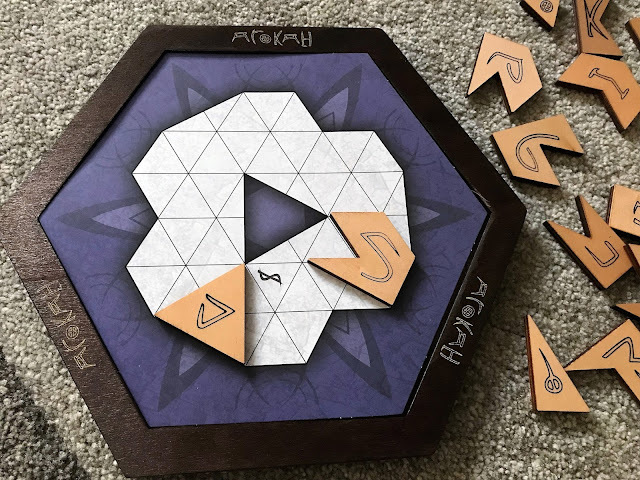 Arokah is a multi-faceted wooden puzzle which offers 12 unique challenges from levels 1 -6. To play the game you place one of the challenges on the wooden board and try to cover it with the Arokah shapes. All the shapes have to be pattern side up, sounds easy doesn't it? Believe me it is a lot harder than you think, as there is only one of each puzzle shape. Arokah is kind of addictive and if like me you won't let things get the better of you, then Arokah is probably the game for you. Even Gee engaged, which can be difficult at times and loved trying to fit the geometry shaped pieces together, although she did find the harder levels a lot more challenging. I would definitely recommend this game if you love puzzles of any kind and with winter having set in, there is no better way to spend an afternoon or evening than playing board games. Arokah is suitable for children over the age of 6 years and is available to buy from the Arokah website priced £19.95. I was sent this game by Amodee Games for the purpose of this review but the opinion is entirely our own.